Melodic and genuine. 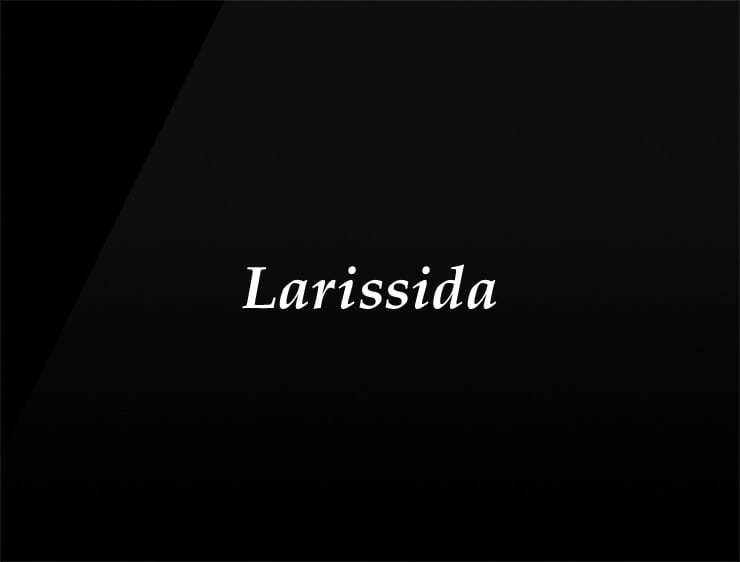 This modern business name ‘Larissida’ evokes ‘Larissa’, meaning “citadel”, a nymph in the Greek mythology, a daughter of Pegasus and loved by Mercury. Also referring to ‘sida’, a plant of the mallow family, native to tropical and warm regions. Possible fits: Real estate company. Perfume. Cosmetics. Fashion. An architecture firm. Marketing agency. Cloud service.